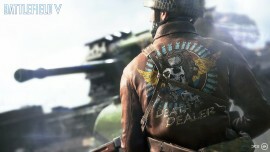 The publisher Electronic Arts (EA) as well as developer DICE have officially announced the release date of their own next generation first-person shooter named Battlefield V. In same time, EA and DICE have shared several assets for media including the reveal trailer and a lot of never seen before in-game screenshots. 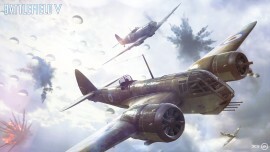 According to the official press release, Battlefield V is set to be worldwide available on October 19 (2018) for all the supported gaming platforms, and so for PC (via Origin), and console Sony PlayStation 4 and Microsoft Xbox One. Furthermore, EA has highlighted that those that order Battlefield V Deluxe Edition will get access three days early on October 16, while EA Access and Origin Access members will be able to jump into the Play First Trial on October 11. And players that pre-order any edition of game with the Battlefield V Enlister Offer will get early access to the Open Beta and other in-game benefits like soldier customization options. 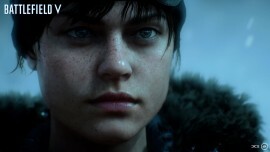 This new chapter of the Battlefield franchise is designed to let players explore new and untold sides of the terrificant event World War 2, as DICE General Manager Oskar Gabrielson observes in the same press release. 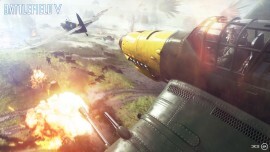 And the scale of each battle as well as level of immersion are unlike anything done before in others Battlefield titles. 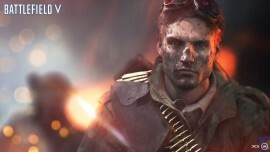 Battlefield V includes both sigle-player and multiplayer versions. The first is a campaign that let players experience stories of human drama in a wide range of location, as cold Norwegian landscapes and hot desert of North Africa. 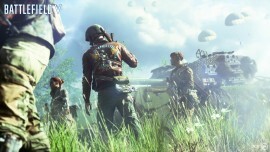 On the other side, multiplayer version brings out new and classic modes, like Company that allows players to create and deeply customize their soldiers, weapons and vehicles. More in general, multiplayer version support gaming sessions with to 64 players and other goodies. According to EA, Xbox is the console marketing partner for Battlefield V while NVIDIA is the PC marketing partner.